The Business capital of the country is all set out to cheer for their favourite stars as Mumbai City FC takes the field on 12th October , against Atletico De Kolkata. Former Manchester City Manager ,Peter Reid led Mumbai are going into the Indian Super League full of confidence and thehardtackle thinks it could be a serious contender for the Championship. Goalkeepers: AndrAi?? Matos Dias Pereira,Ishan Debnath and Subrata Pal. The Club roped in Prayag United Goalkeeper Ishan Debnath, the young lad form Bengal has already played in Mumbai before, having played for Mumbai Fc in the I-League .Mumbai City Fc also roped in VitA?ria de GuimarA?es youth Goalkeeper Andre Mato Dias Pereira , the Portuguse national who has represented Portugal at every age level except the senior squad is seen as a bright prospect back home and he will be competing with Ishan Debnath and India Number 1 Subrata Pal. India Number 1 goalkeeper Subrata Pal has also been signed by Mumbai City Fc. Pal ,who recently returned to India having played for Danish Outfit FC Vestsjaell ,comes to the squad with experience in abundance and will be looking forward to the competition provided by two youngsters. 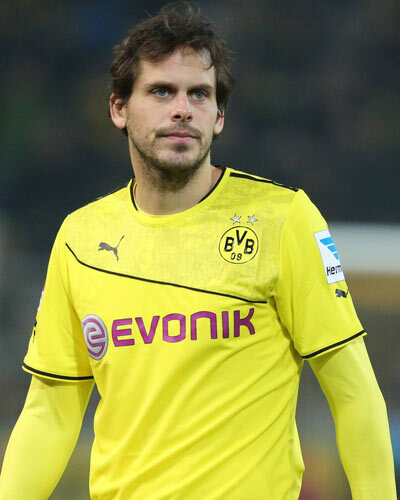 Defenders : Pavel A?movA? , Johan Letzelter , Ilias Pollalis ,Syed Rahim Nabi ,Deepak Mandal,Peter Costa ,Raju Gaikwad and Manuel Friedrich. 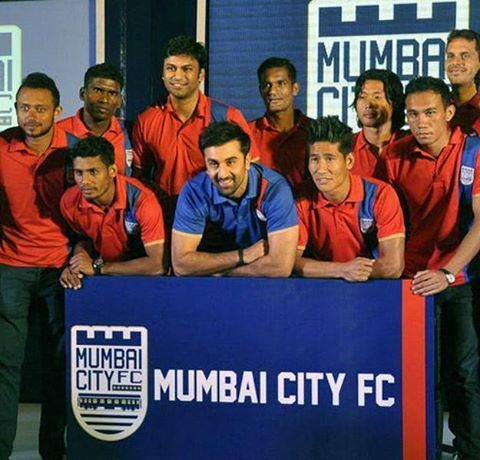 Mumbai City FC have 8 defenders within their ranks and probably boasts of the best defense in the Indian Super League. The Club roped in 24 year old Czech Defender Pavel Cmovs, the 6 ft 2 inch defender has represented his country at youth level (u-17,u-18,u-19,u-20 and u-21) and prior to joining Mumbai City FC plied his trade in the top tier of Bulgaria, playing for PFC Levski Sofia. Johan Letzelter was also signed by the club , the experienced French right wing back has played for the likes of Association Sportive Moulins Football 03 Auvergne, Calais Racing Union FC and Chamois Niortais Football Club. He has played in the 5th , 4th and the 2nd tier of French football and his experience was a major factor in the club opting for him. The club went for defender Ilias Pollalis , a Greek defender who went to Czech Republic to get his breakthrough. He got his breakthrough in the Bohemian Football League playing for FK A?A?slav and then came back the following season to his homeland and joined Greek club, Athlitikos Omilos Glyfadas who ply their trade in the 3rd tier of Greek Football. He joins Mumbai City FC after failing to make a single appearance in his last club and he will be willing to prove a point. The Club also roped in India International players Syed Nabi, Raju Gaikwad , Deepak Mandal and Peter Costa. The club moved for the young and experienced defenders of Kingfisher East Bengal ,Raju Gaikwad and Deepak Mandal, Raju has made a good name for himself since joining East Bengal in 2011 and will hope that he can do justice to the expectations weighed upon him . Deepak also made his name at Kingfisher East Bengal winning almost every possible trophy and was a member of the historic East Bengal squad that won the ASEAN Cup . He isnai??i? ?t the tallest but his ability to read the game makes him a brilliant defender. Peter Costa was also signed by Mumbai City Fc , having already played for Mumbai Fc in the I-League he will certainly be a fan favourite.The club also signed India national Syed Rahim Nabi , the experienced wingback who can also play in midfield and also as a striker is the Best defenders the country has ever produced and is someone who will look forward to the Indian Super League as a chance tto prove that he can perform at the greatest stage. Midfielder : Tiago Manuel Fernandes Ribeiro, Jan Ai? ?tohanzl ,Asif Kottayil ,Francisco Luque , Lalrin Fela ,Lalrindika Ralte and Ram Malik . Mumbai City FC roped in midfielders Tiago Riberio. Young Swiss midfielder Tiago Manuel Fernandes Ribeiro has played for the likes of F.C.Vizela, Sporting Clube de Braga B and Grasshopper B. He made his breakthrough playing in the 3rd division of Portugese Football League with FC Vizela and then moved to Braga B the reserve team of Braga. He moves to Mumbai City FC after failing to impress at Grasshopper and will be eager to impress his new head coach. Czech midfielder Jan Stohanzi signs for Mumbai City FC from FK MladA? Boleslav a Czech Club. The Czech midfielder has a habit of scoring goals from midfield and will surely look forward to maintain his goal scoring habit in the Indian Super League. Mumbai City also signed Spanish Midfielder Francisco Javier FernA?ndez Luque , he has experienced playing in the Spanish 3rd and 4th Divisions and Mumbai City Fc will be hoping that experience will make him an Integral part of the Team. The Franchise also roped in Indian Midfielders Asif Kottayil , Lalrin Fela ,Lalrindika Ralte and Ram Malik. The Club roped in Kerelan Asif Kottayil from Prayag United , Lalrin Fela and Ram malik both are Mohun Bagan players and have impressed in the last season. 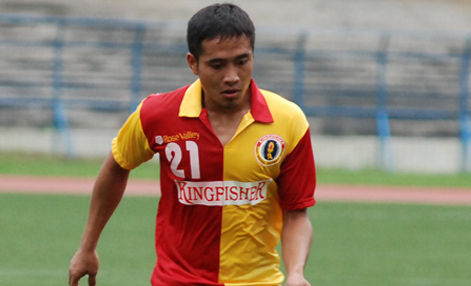 The club pulled in a coup when they signed Lalrindike Ralte , The East Bengal youngster has represented India at all age levels and is considered the brightest prospect of the Country . Ralte has a hammer of a left foot and has the ability to score goals from distance ,he surely will be looking forward to impress in the Indian Super League. Forwards: Rohit Mirza , Abishek Yadav, Nadong Bhutia , Sushil Singh , Singam Singh , Diego Nadaya , Nicolas Anelka and Fredrik Ljungberg. When a team has a attacking line up consisting of Fredrik Ljungberg and Nicolas Anelka , people will instantly get their heads turned. The Ex- Arsenal pair is set to take the Indian Super League by storm . Freddy Ljungberg a member of the Invincibles (Arsenal squad that went unbeaten in the Premier League), comes to India as Mumbai City FCai??i? ?s marquee signing after deciding to promote Indian Football. Ljungberg announced his retirement from footbal in 2012 but after the proposal of promoting Indian football came he decided to come out of retirement and Mumbai City FC captured him in the foreign playersai??i?? draft making him one of the major signings. Anelka who has played for a host of major football clubs across the world like Real Madrid, PSG, Arsenal, Liverpool , Chelsea etc comes to the Indian Super League, after terminating his contract with English Premier League club West Bromich Albion. Anelka and Ljungberg were together in the Arsenal Squad for 2 seasons(1997 and 1998) and Mumbai City FC will be hoping that will help them fit in effortlessly into the squad. The Club also Signed Diego Nadaya who has played in the Argentine League and will be a asset to the team with his raw pace and skills. The club alo roped in Mumbai FC strike partners Rohit Mirza and Abhishek Yadav , both have played together in the I-league and Mumbai City FC Officials will be hoping they can re create their Mumbai fc partnership .Abhishek is a prolific goal scorer and also has 10 goals for the India National team.The club also signed Eagles FC strikers Nadong Bhutia and Sushil Kumar Singh . Mumbai City Fc have recruited former England national Peter Reid as their Head Coach , Reid has managed clubs like Manchester City and Sunderland before. Steve Darby, A former English football coach and former BBC pundit has been roped in to assist Peter Reid. 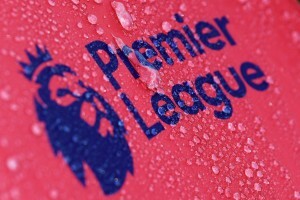 Peter Reid , The former Leeds manager , built a reputation of bringing clubs to the Premier League , he famously kept Leeds in the premiership after the club sacked Terry Venables in 2003 and will be hoping he can lead Mumbai City FC to the title .Mumbai City Fc have roped in Steven Darby as the assistant coach , Darby who has previously managed Mcdowells Mohun Bagan in India, will know of the expectatiuon levels in the country aand will be looking forward to fulfilling those expectations. 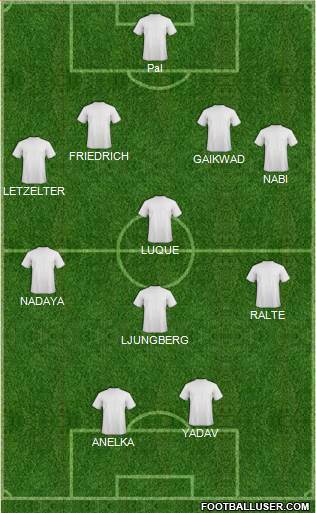 Mumbai City Fc will probably start with a 4-4-2 Diamond formation,the probable Indian players to start will be Subrata Pal , Syed Nabi at Left Back ,Raju Gaikwad will probably partner Manuel Friedrich at Centre Back , Lalrindike Ralte will play at his usual Left Midfield Position and Abhishek Yadav will Partner Nicolas Anelka in Attack. With the first Edition of the Indian Super league all set to start , Mumbai City FC fans will be hoping they can mount a serious title challenge .Mumbai City Fc have built a strong squad and have a lot of depth in all positions , which strengthens their intentions to challenge for the title.